T-Mobile today reported its earnings for Q3 2018, touting it as another record-breaking quarter. During the third quarter of 2018, T-Mobile added 1.63 million customers, up from 1.33 million customers in Q3 2017. 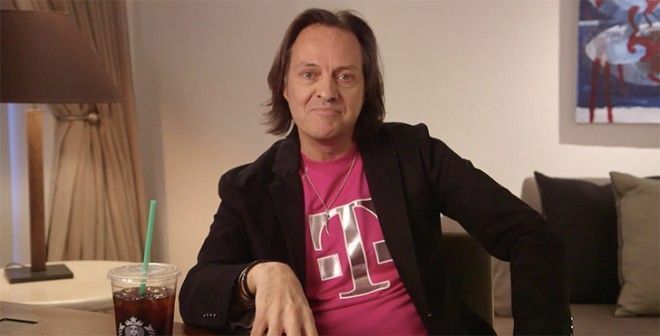 This marks the 22nd straight quarter that T-Mobile has added more than 1 million customers. Of that 1.63 million, there were 1.08 million postpaid adds, which is up from the 817,000 postpaid customers T-Mo added one year ago. Prepaid adds finished at 35,000, which is down from 226,000 in Q3 2017, a decrease T-Mobile blames on increased competition in the marketplace. At the end of Q3 2018, T-Mobile had a total of 77.2 million customers on its network. T-Mobile brought in $8.1 billion in service revenues and $10.8 billion in total revenues for the quarter, both of which are up year over year. T-Mo’s net income increased from the year-ago quarter, too, finishing at $795 million. Switching over to the network, T-Mobile’s 4G LTE coverage reached 324 million people at the end of Q3 2018. That number is expected to grow to 325 million by the end of the year. T-Mo also notes that it owned a nationwide average of 31MHz of 600MHz low-band spectrum at the end of the quarter and that it expects to clear spectrum covering 132 million people by year-end 2018, with that number growing to 265 million people by the end of 2019. T-Mobile’s 600MHz LTE coverage is now available in more than 1,500 cities and towns in 37 states and Puerto Rico. Other notable network updates in T-Mobile’s Q3 2018 announcement includ the news that carrier aggregation is live in 904 markets, 4×4 MIMO is in 535 markets, and 256 QAM is in 984 markets. These three technologies help to offer faster network speeds on devices that support them, and T-Mo says that there are more than 500 markets that have all three. T-Mobile also notes that it’s rolled out License Assisted Access (LAA) to nearly 1,000 cell sites, the vast majority of which are small cells. LAA has been deployed in more than 25 cities, including Los Angeles, Philadelphia, Washington DC, Atlanta, Houston, Las Vegas, San Diego, and New Orleans. LAA utilizes unused 5GHz spectrum to augment available bandwidth, and T-Mo says that in areas where LAA has been deployed, customers with phones that support it have seen speeds faster than 500Mbps. VoLTE was used for 85 percent of all voice calls on T-Mobile’s network in Q3 2018, up comg 83 percent in Q2 2018 and 75 percent in Q3 2018. More folks making voice calls with VoLTE helps to free up spectrum and enables T-Mo to transition spectrum currently used for 2G and 3G to 4G LTE. 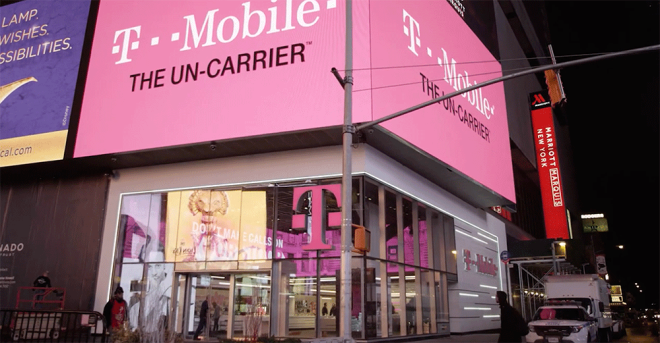 T-Mobile says that it’s building out its 5G network in six of the top 10 markets in the U.S., including New York and Los Angeles, along with hundreds of cities across the U.S. in 2018. This network will be ready for the launch of the first 5G smartphone in 2019, and T-Mobile is still aiming to have nationwide 5G coverage in 2020. T-Mo will hold an earnings call to discuss its Q3 2018 results later this afternoon. You can watch it live below. It is odd they don’t include that – has all of the information most folks ask for when they make these posts and then some. Also wish they were more specific on where they’re going to build out first. NOT. 5G really doesn’t do anything special or different other than faster speeds at this time and better use of spectrum. Most of us tap a few emails, watch some Netflix or You Tube videos, and talk. Maybe you will be able to download a 4K movie in ten seconds, using 6GB of your data plan, but otherwise, for a vast majority of people, it really won’t do anything spectacular. (presuming you are in a decent area where you are already getting 20MGB downloads). I would definitely not worry about it. Just make sure your new phone has 700MHZ and 600MHZ and you are all set. 5G on a reliable basis is still a good ways away, and when you turn on your phone, it should still work the same way whether on 4G or 5G mostly. I’m curious, what do you feel you will be getting from 5G. Is there something different that you are looking for? Consistency mostly, I get great speed but service dips at times. But you’re right, band support is major instead of adopting a new tech to get what I need. When I got the V20 I noticed the better coverage with more band support. That’s what I need again. I thought 5G was for home internet in rural areas with no broadband coverage. Otherwise, I have no interest in it. T-Mobile coverage is great here but speeds can be very slow at times. Pros buy on rumor, sell on news. Also, there has been a general rotation out of tech stocks during this bearish pull-back. I expect the bulls to run again after the mid-term elections. Mister market hates uncertainty, does not matter if Blue or Red prevails, business just needs to know what the rules will be going forward. If you like TMO, buy into the dip, who does not like a discount sale ? If you are long, you only need to worry if fundamentals have changed. Is t-mobile going out of business ? No ! Its getting stringer and stronger, very profitable and increasing cash flow. Stock price crash not justified at all. Stock price fluctuations are nothing new. Look at the overall market – dow falls or rises 500 points on almost no news. We need to change some laws pertaining to 401K, SEC etc so that these events are less frequent and only happen on major events, not through manipulation.